Barnaby and I are on our way to New York, but we stopped in L.A. to see a concert at Disney Hall. We left Idyllwild early enough to miss rush hour traffic so we had a couple of hours to visit the Norton Simon Museum. Their current special exhibit is prints, but no photography allowed. 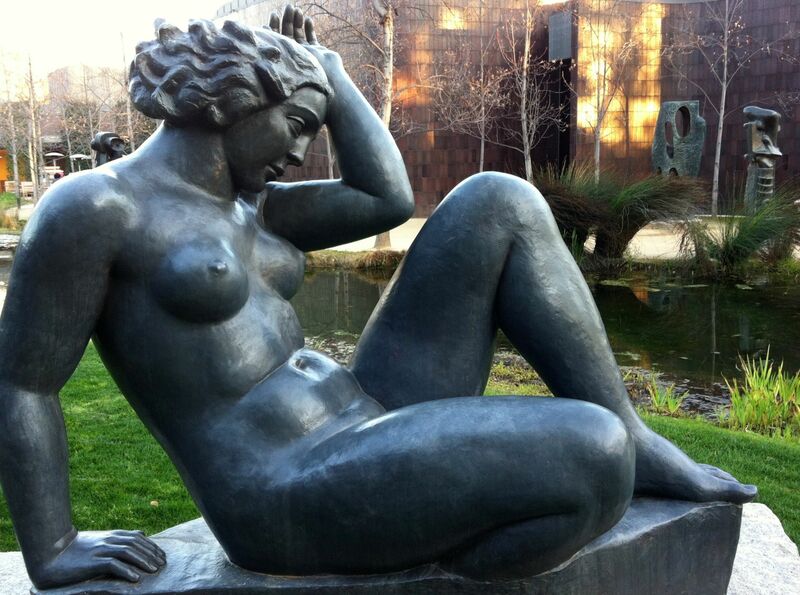 The sculpture garden is wonderful, even in winter. MOUNTAIN by Aristide Maillol, 1937. Isn’t she fabulous? Can you see those Henry Moores in the background? And the pond? 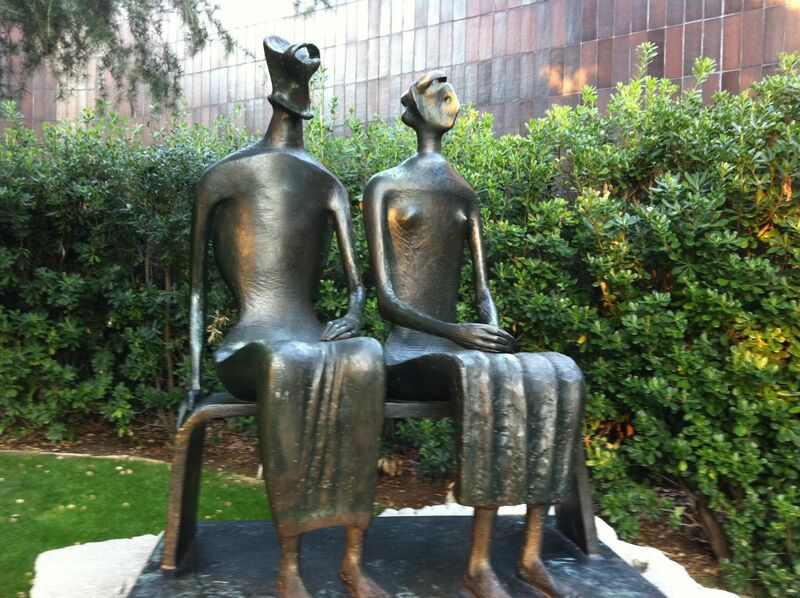 This is a Henry Moore, KING & QUEEN, 1938. 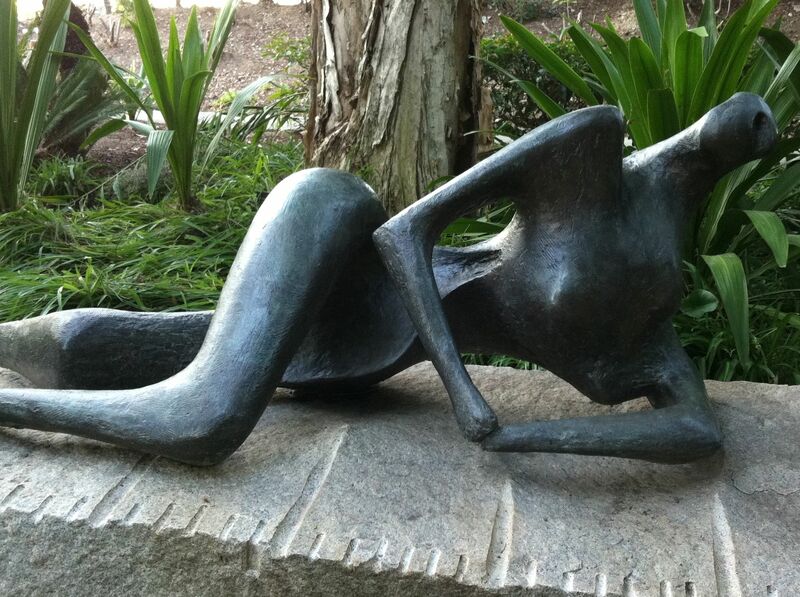 All of these sculptures are larger than life-size. It was so hard to not touch them. I’m going to make a point of visiting this beautiful garden in the spring when everything is in bloom. 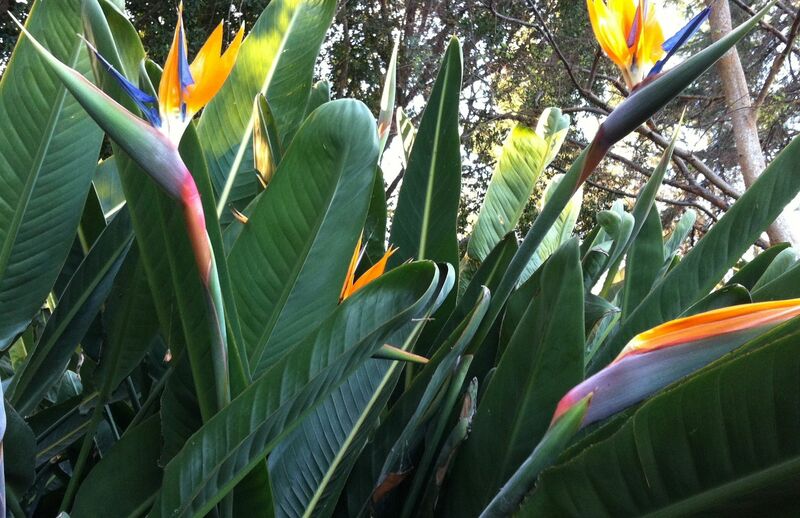 I’m including this Bird of Paradise because it took me right back to my childhood in Dayton, Ohio. My Mom had an artificial Bird of Paradise plant that she adored it because it reminded her of California — the place she loved more than anywhere else. Wish I’d had my big camera, close-ups are where the iPhone camera falls short. But you get the idea. I think when we come back to L.A. next week we’ll visit the Huntington Library and Gardens — I’ll bring out the real camera for that one. This entry was posted on Thursday, February 9th, 2012 at 12:13 am	and posted in Uncategorized. You can follow any responses to this entry through the RSS 2.0 feed.